What is an auger bit? What is an auger bit used for? What are the parts of an auger bit? 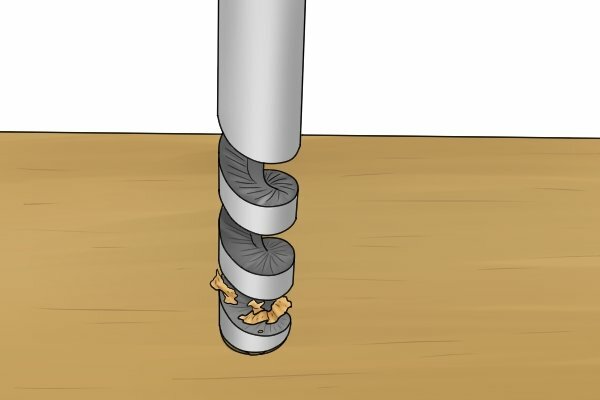 How does an auger bit work? What are the different auger bit patterns? What are the different types of auger bit? 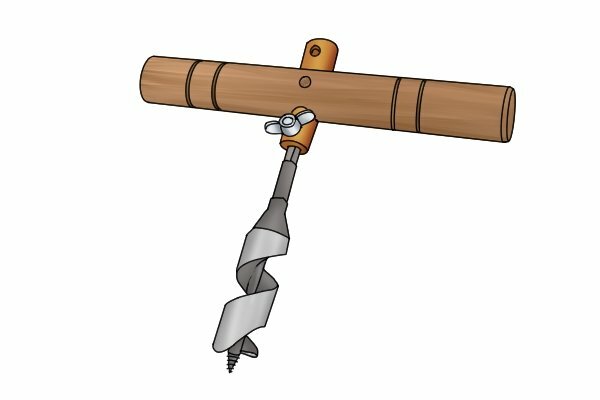 What is a wood boring auger? 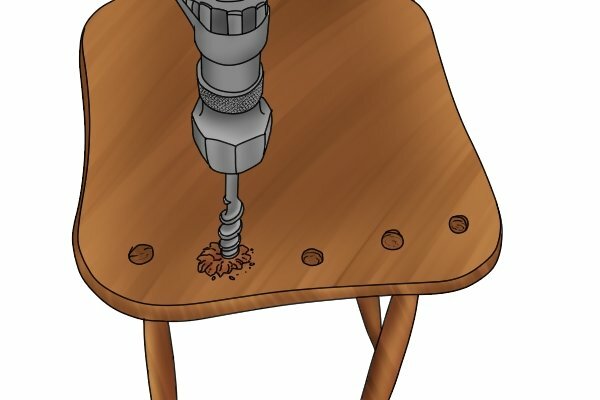 What is a triple-fluted wood bit? What is a carbide-tipped auger bit? What is an ice auger bit? What is an earth auger bit? How are auger bits manufactured? What are auger bits made of? What sizes of auger bit are available? Why would you choose an auger bit over other drill bits? The first known auger was invented in 250 B.C. by Archimedes. 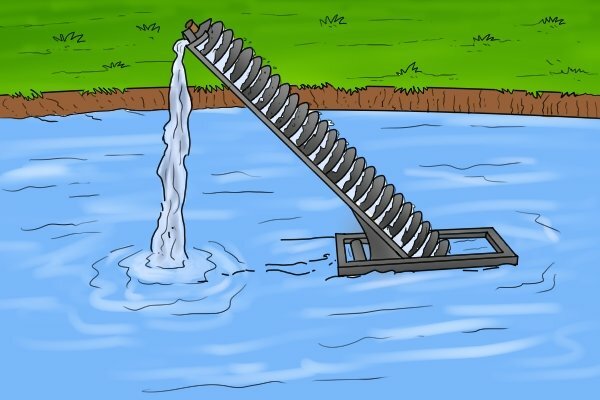 It came in the form of a water screw that he developed to move large amounts of water uphill. As the screw turned, the flat, wide thread collected small pools of water, pushing them along the bed of a trough, before depositing them into another reservoir. This principle was soon applied to drilling. As a drill bit turned and bored a hole, the wide, flat screw thread pushed waste material up and out of the hole to stop it from getting clogged. Originally, augers were used as hand tools, and turned using a handle mounted across the top of the bit. These were called T-augers due to their shape. A 15th Century illustration by Dr. Henry Mercer depicts St. Joseph using a T-auger and, although it is not believed that the auger was used as a boring tool during biblical times, the existence of this picture at least proves its use for that purpose during the century the image was made. 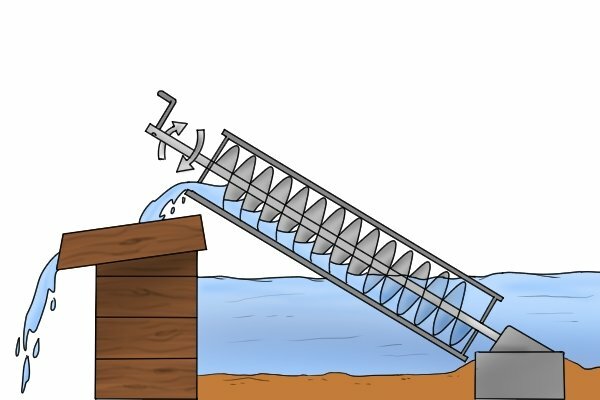 In 1809, an American shipwright named Ezra L'Hommedieu filed the first patent for the spiral auger, which is still in use today. He subsequently went on to refine the design specifically for use in ship building. 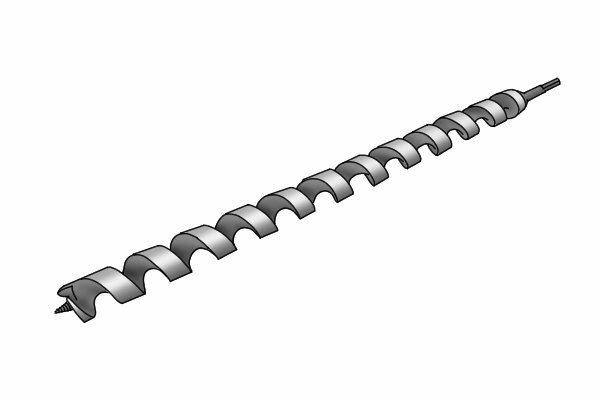 For more information, see: What are the different auger bit patterns? By the early 1900s, T-augers were out of date, and the first power drills were already in existence. Auger bits are used with power drills to this day.